No matter how good the credit rating, today’s homebuyer no longer has the luxury of buying with little or zero down. Unless you are low-income with good credit, or a veteran, no-down loans are also a thing of the past. Most lenders today want at least 20 percent of the loan amount as a down payment on a house. For a home priced between $168,300 and $287,500, a homebuyer would need to come up with between $33,660 and $57,500 just for a down payment. Then, there are closing costs to consider. These vary by state, but figure you’ll pay over $2,000 on a $200,000 loan. Saving up this money takes time and careful planning. The best way to start is by coming up with a budget that is realistic enough for you to stick with and by using other tips to help you get ahead financially. Once you’ve used the budget for a month or two you’ll be able to see where your money goes every week. This snapshot shows you where it’s being wasted and, thus, where to make cuts. Any items cut from the budget mean more money to set aside for your house. Some of these cutbacks might include bringing a lunch from home rather than hitting the café every day, riding your bike to work instead of driving or taking a cab, and using coupons to save money. Cutting your budget expenditures and paying down debt aren’t the only ways to move more quickly down the road toward homeownership. Finding ways to bring in more money gives your plan a turbo boost. If you can take on overtime hours at work, do it. Consider holding a garage sale or selling unused items online. Sock away that extra cash for your down payment. If you’re like a lot of us, you may be tempted to use the money you’re saving for something else that comes along. To avoid the temptation, put it in an online savings account that makes it difficult to withdraw. If you have to wait a few days for the money, you may think twice about withdrawing it. As you build your savings, avoid the urge to add to your debt. There will be plenty of time after you buy the house to buy furniture, a car or whatever else you might be thinking of purchasing. Keep that house you want top-of-mind to motivate yourself to stay out of debt and continue saving. WHAT’S THE GOOD NEWS FOR AUGUST 2015 IN DFW? 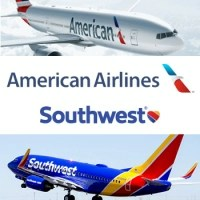 Employment is up at North Texas-based American Airlines and Southwest Airlines as both carriers outpaced their competitors in job growth, according to figures released 08/20/15. Fort Worth-based American employed 59,905 full-time workers and 7,427 part-timers in the United States in June, for a total of 67,332, up 6.4% from a year ago. Southwest employment rose 4.9% to 46,808 full-timers and 1,674 part-timers, totaling 48,482 nationwide. The job numbers for American Airlines would have made it the largest employer if the U.S. Department of Transportation’s Bureau of Transportation Statistics would have included the 35,339 that the agency still considers employees of US Airways. That airline and American have merged, creating a mega-airline with more passengers than any other in the world, but they have still been reporting job numbers separately. The 86th Annual North Texas Fair & Rodeo is going on now (Aug 21 – 29, 2015) at Denton’s North Texas Fairgrounds with nine days of world championship rodeo, livestock shows, music on two stages, carnival rides and games, shopping and food. About 30 local and national music artists will appear including the Josh Abbott Band (Aug. 28),and the Charlie Daniels Band (Aug. 29). This year’s feature exhibit is the Extreme Raptor show featuring Mother Nature’s flying predators. The North Texas Fair and Rodeo will have an economic impact of at least $7.1 million on the county. All fair revenue is invested back into the community and its organizations. A dedicated group of volunteers make up 95% of the fair’s staff, which contributes to its ability to make significant donations to county organizations. Kubota Tractor Corp. will move the U.S. headquarters for its tractor and credit companies from Torrance, California, which already has given up headquarters for Toyota Motor Corp. and Farmer Brothers coffee, to Grapevine Texas. Kubota Tractor will create more than 330 jobs in North Texas. The relocation is projected to inject $51 million in capital investment in Texas. The state of Texas extended a Texas Enterprise Fund grant offer of $3.8 million to Kubota. The move is expected to occur in the next 18 months. The new headquarters will occupy approximately 20 to 25 acres of 185 acres on the city’s last major land parcel, which was obtained from former Texas Rangers first baseman Rafael Palmeiro in 2013. The tract of land is north of Grapevine Mills and fronts SH 121, Grapevine Mills Parkway and Grapevine Mills Boulevard. Construction is slated to get underway on Farmer Brothers Co.’s new $65 million, 500,000-square-foot headquarters building in Northlake, near I-35 and the Texas Motor Speedway, which will bring another California-based company to North Texas. Farmer Brothers reports that the company’s corporate offices are moving the 28-acre corporate headquarters to better position the 103-year-old manufacturer, wholesaler and distributor of coffee, tea and other food items for the future. The new North Texas location is expected to better serve the company’s supply chain and boost the company’s bottom line. The cost of the building includes an estimated $40 million to construct the facility with another $25 million in business personal property, such as a roaster for its coffee products. Upon completion of the new corporate facility at the end of 2016, Farmer Brothers plans to hire to fill the majority of the company’s 350-job workforce. The River Walk development in Flower Mound continues to attract future eateries including: Torchy’s Tacos, Steel City Pops, Tokyo Joe’s, Parquet Sports Bar, Primo’s Tex Mex Grille, Sfuzzi and Blaze Pizza. Dee Lincoln, of Del Frisco’s fame, is also opening a 5,000-square-foot Dee Lincoln’s Steakhouse at the River Walk. In addition, more than 2,700 trees (3- to 6-inch caliper) will be planted within the River Walk soon. Approximately 180 of them were saved during construction for replanting and 700 specimen and protected trees were able to be saved. Some of the tree species that will be planted include: red oak, live oak, Chinquapin oak, cedar elm, slippery elm, lacebark elm, and American elm. Singer Otis Redding sat on the dock of the bay, wrote a song about it, and made millions of dollars. What his song didn’t tell us, however, is that he was sitting on a docked houseboat in Sausalito, Calif., and the “bay” is Richardson Bay. Houseboat living was definitely the inspiration for the singer’s all-time biggest hit. People all over the world live on boats – from fishing trawlers to yachts – but the houseboats most popular in the United States are flat-bottomed and “designed to be floating cottages,” according to Jennie L. Phipps, writing for Bankrate.com. If you’ve ever toyed with the idea of being lulled to sleep by lapping water, greeted good morning by a cawing gull, and fishing from your bedroom window, a houseboat or floating home may just be a dream come true. Though most floating homes are called houseboats, there is a difference between the two. A houseboat is capable of leaving the dock under power. “It must have seaworthy hulls, engines and navigational equipment, in addition to meeting U.S. Coast Guard standards for flotation, fuel, and electrical and ventilation systems,” according to Scot Meyer, writing for MSN Real Estate. A floating home, on the other hand, isn’t considered a water vessel, but a structure built on a floating apparatus, according to Curbed Seattle’s Sean Keeley. Since even the owners of floating homes typically refer to them as houseboats, we shall too. There are lots of advantages to living on a houseboat. In some parts of the country, a houseboat isn’t considered real property, so you won’t be paying property taxes. In others it may be considered personal property, and you’ll be levied a small personal property tax annually. Still others differentiate between floating homes, which they tax as real property, and houseboats, which are taxed as personal property. Your real estate agent can let you know the rules in your area. You also won’t need a gardener or a snow shovel when you live on the water. Plus, you are guaranteed a water view and nobody can build anything that will block that view. The interest on your loan payment is tax deductible as long as the houseboat is considered a qualified residence, meaning that it is either a first or second home and has a toilet, sleeping areas and cooking facilities. You may escape the dreaded annual property tax bill by living on a houseboat, but you’ll pay other associated fees, and some of them, depending on where you live, can be significant. Mooring fees – what you’ll pay for the privilege to dock your floating home – come in two flavors. The first is the basic monthly rental fee and the second is the homeowner’s association fee. The mooring fee is payment for the actual slip and generally includes utility costs, such as garbage collection, electricity and water. Depending on where you live, the “landlord” may pay taxes and insurance for the moorage and to maintain the common areas. If the community is managed by a homeowners association, you will most likely pay more at first and then less of a mooring fee on a monthly basis. This is because you’ll generally purchase the slip and won’t be paying rent for it. Though you’ll pay more in the beginning for this setup, if your state taxes your floating home as real property, your annual tax bill will be lower because you’ll only pay taxes on the actual home. The slip isn’t assessed as real property. Of course, all of this depends on where you moor your houseboat. Even within one city, each facility may have its own set of fees. Finally, homeowners insurance is more expensive for a houseboat than a land-based home. Financing a houseboat may be challenging, depending on where you live. Interest rates vary by lender but tend to be higher for houseboats than for land-based properties. The home inspection is also significantly different for houseboats. You’ll need a marine survey, which includes inspection of the hull and the interior. The dive survey can be pricey. Houseboats are most popular on the Pacific Coast. Sausalito and Mount Shasta in California; Seattle, Wash.; and Portland, Ore., all have floating home communities. The average list price for a Sausalito floating home is over $850,000. In Seattle, look for an average list price of a little over $615,000, and in Portland houseboats range in price from $40,000 to $680,000. You’ll also find houseboats and floating homes on the Great Lakes, in Kentucky on Lake Cumberland, Lake Travis in Texas, Elephant Butte Lake in New Mexico and along the East and Gulf coasts. Living on the water affords a unique and serene lifestyle, but it does require adjustment. Houseboats are more exposed to the elements than land-based homes, so they require a new set of maintenance tasks. However, many people who choose this lifestyle say that they wouldn’t trade the views and the camaraderie that develops with other houseboat dwellers for anything. In the midst of summer’s sweltering heat, nothing provides relief like having a shady spot for relaxing. Backyard shade structures also help keep your outdoor furniture from fading. If you want to add a shade structure to your yard, explore the variety of options available and customize the design based on your needs. Shade Level – Spend some time in your backyard, observing the amount of sun and shade available at various times of the day. In areas of intense sunlight you may want a more solid structure, and in hot climates you may desire greater yard coverage or shade attached to the house. In other areas you may want limited shade and materials that provide partial sunlight. Climate – Consider the weather when designing your backyard shade structure. In northern areas that receive a lot of snow, a flat roof won’t hold up well. In areas of high winds, other choices may not be sturdy. Think of how your selection will resist the sun, rain, snow and wind in your area. Intended Use – Choose a shade structure that best fits all the uses you envision. Pool areas don’t require much shade, for instance, so umbrellas, shrubs and vine-covered structures may fit best, while a covered patio where you wish to barbecue needs to allow smoke and odors to rapidly dissipate. Also consider young children, pets, and elderly users when selecting and designing your shade structure. Your Budget – One of the most important steps when planning any home project is drawing up a budget. Without a budget, it’s easy to spend more than you want to. Use your budget to help guide your shade structure selection. Factor in the cost of labor if this is not a DIY project. Shrubs and Trees – The original shade structure, they also help purify the air. Keep in mind that as they grow the shade will increase. Awnings and Screens – Choose between retractable awnings that connect to the house or removable ones attached to a permanent frame. Retractable models may also be electric and employ sun or wind sensors. Screens work well around patios and enclosures. Shade Sails – Like large, colorful sails on a sailboat, shade sails anchor to the house and other support structures. Make your own version with canvas and grommets if preferred. These are easily customizable. Trellises and Pergolas – Choose ladder-like trellises or even pergolas – monkey bar-like structures made of beams – to marry a structure with vines and other greenery. Gazebos and Ramadas – A stand-alone structure, a covered gazebo may feature seating and other options. Ramadas are typically square or rectangular with open sides. No matter what you decide on, try sketching your design first. If this is a DIY project, make a list of materials needed based on your plans. Research the project and check to see how to anchor it properly. Always determine what, if any, building codes apply to your installation and if building permits are required. Visit your local building authority for further information.